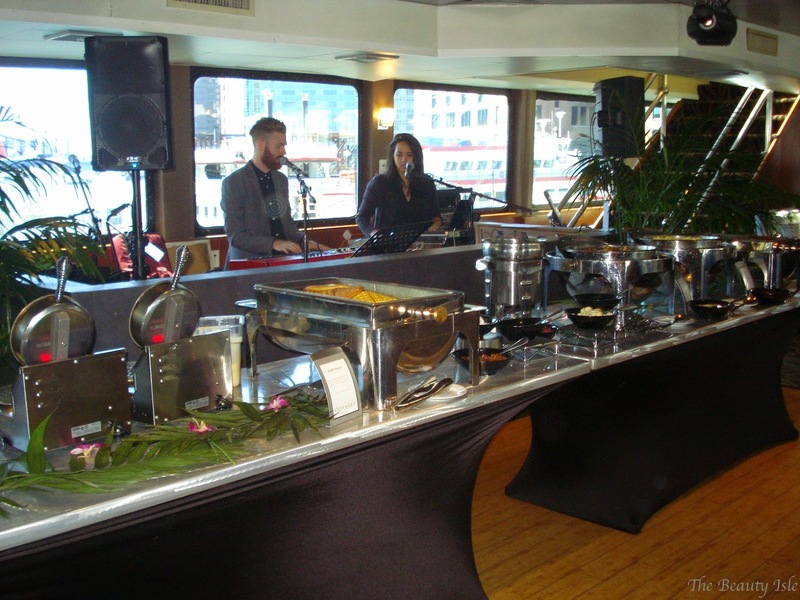 I was lucky enough to be invited aboard the Odyssey Cruise ship to experience their Brunch Cruise with their new Blood Mary Bar. 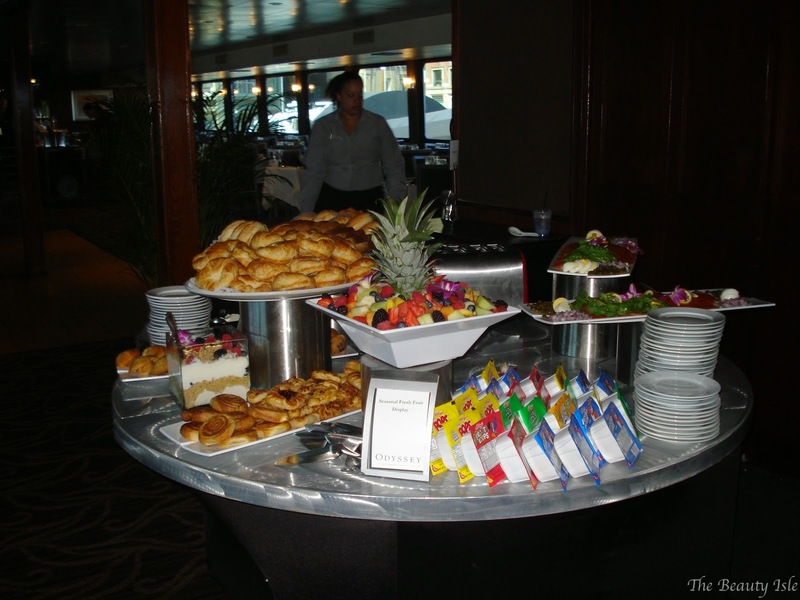 Me and several other bloggers got to eat, drink, and explore the ship last Sunday for a 4 hour cruise. 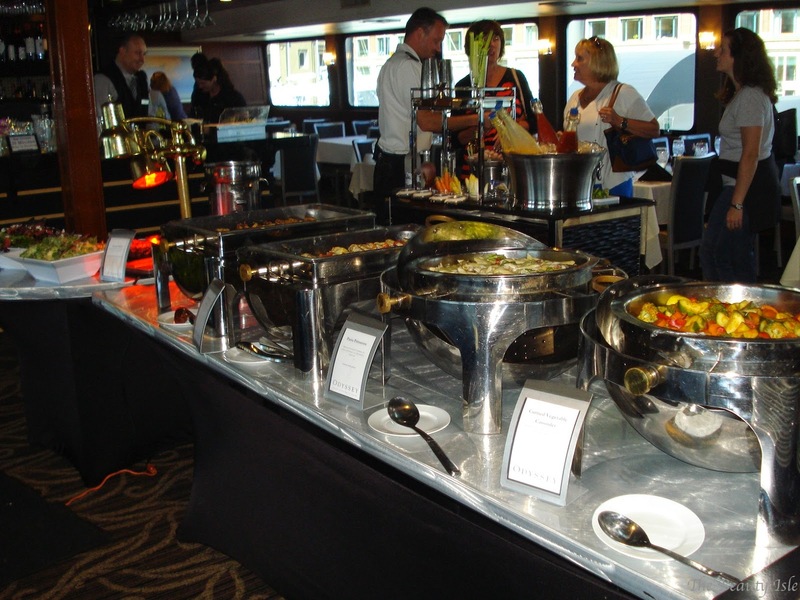 Boarding began at noon and once on board you can start enjoying the brunch including the Bloody Mary bar. 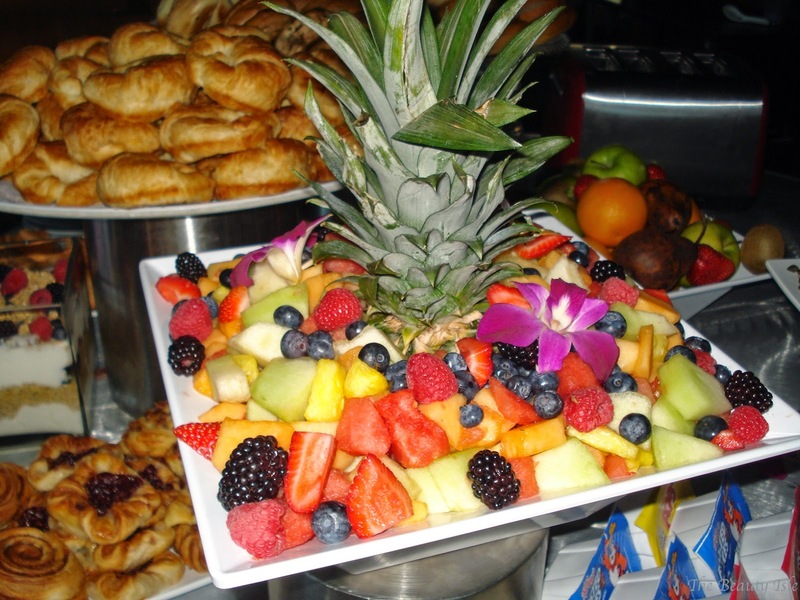 Here is a table of fruits, croissants, bagels, and assorted pastries. I always love finding brunch places with live music, it just adds that nice special touch! 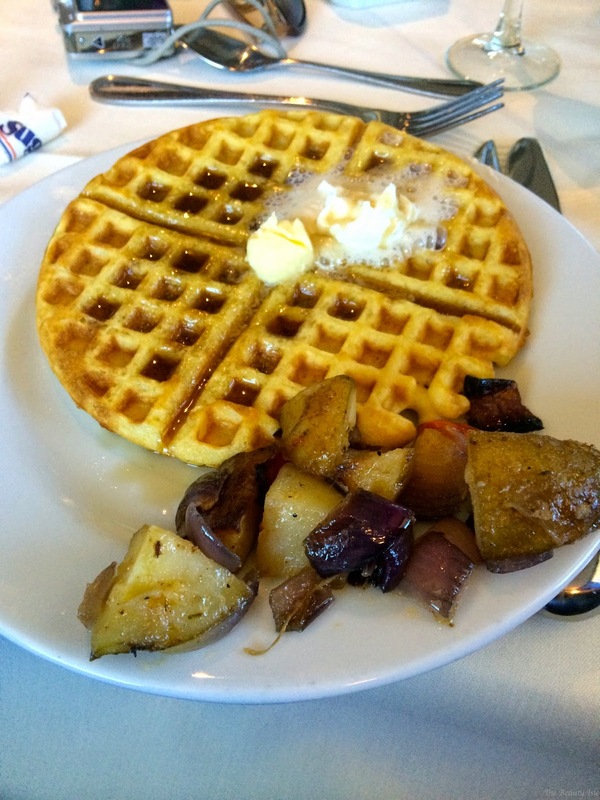 Here you can see the waffle makers and toppings as well as eggs, potatoes, bacon, etc. There was also some lunch food options like various salads, pasta, vegetables, and more! And here's the star of the show, the Bloody Mary Bar! 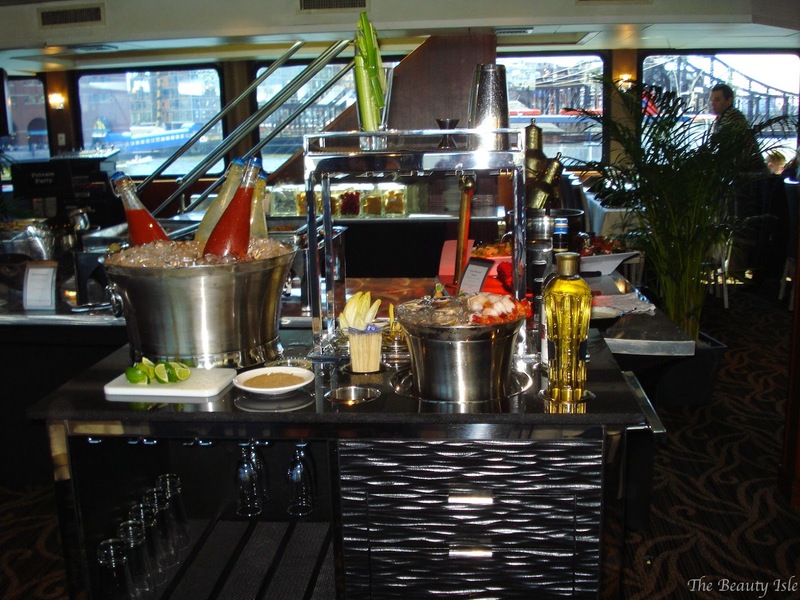 They had many different types of alcohol as well as lots of garnishes like celery, shrimp, and even oysters. Everything was so delicious! My faves were the waffles and potatoes! 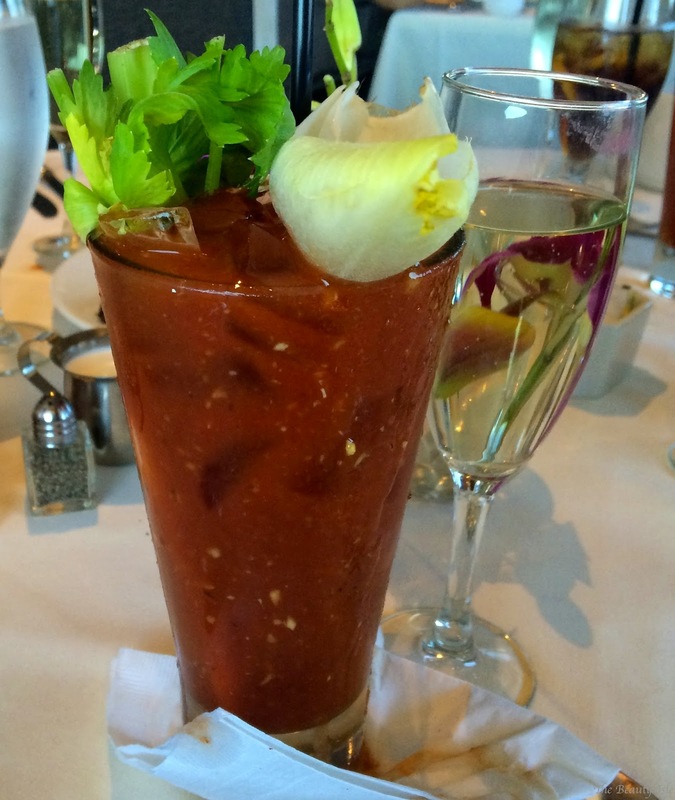 We also had champagne and of course I had to try a Bloody Mary! There was a chocolate dipping station as well as various desserts. 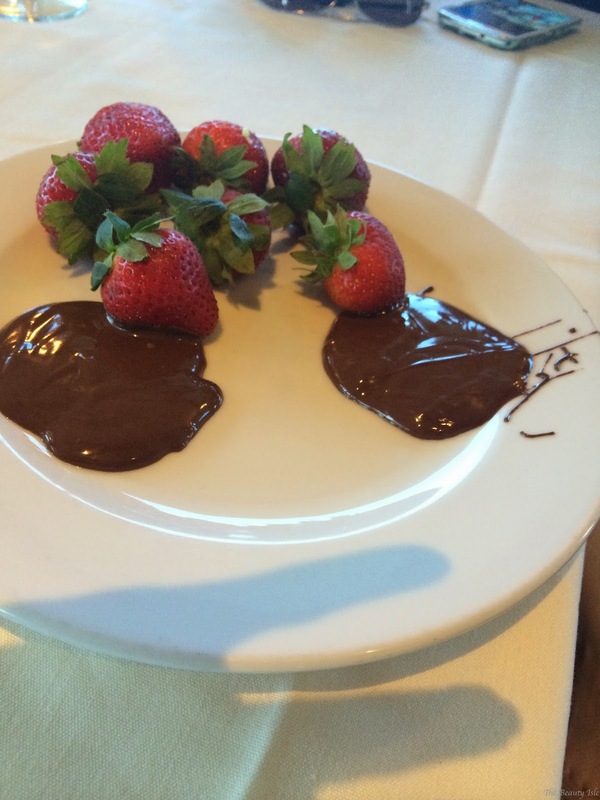 I couldn't stop eating the strawberries with the melted chocolate!! Here's me and my good friend Tanya who blogs over at Leopard Lace and Cheesecake. The ship itself is gorgeous! There are 2 decks and both have chairs and high tables (like at a bar). Here is the top deck of the ship. 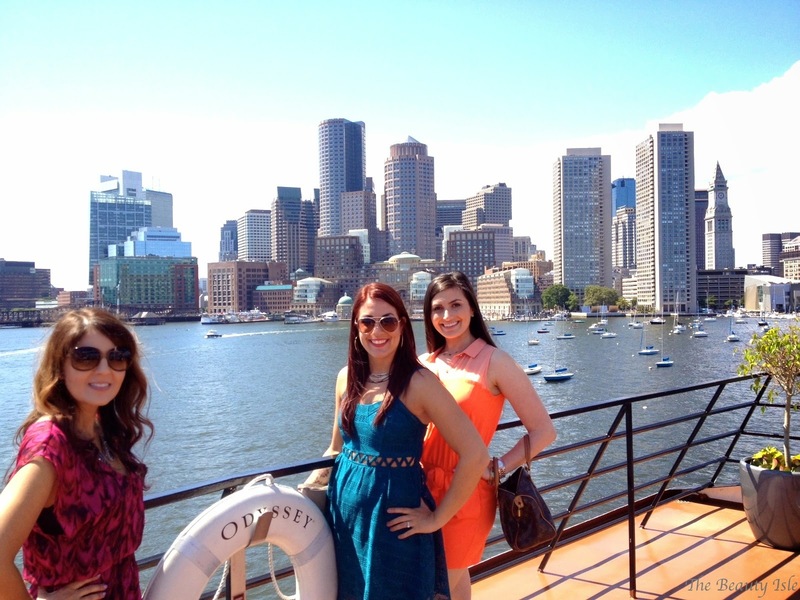 Here I am with Tanya and my new blogger friend Biana from B Loved Boston. 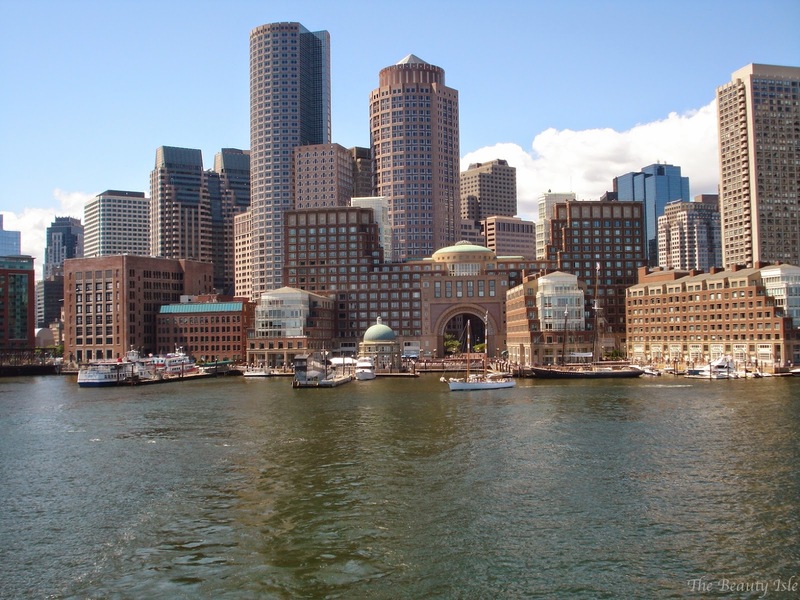 We really lucked out with the weather, it was a perfect day to take in the amazing Boston views! 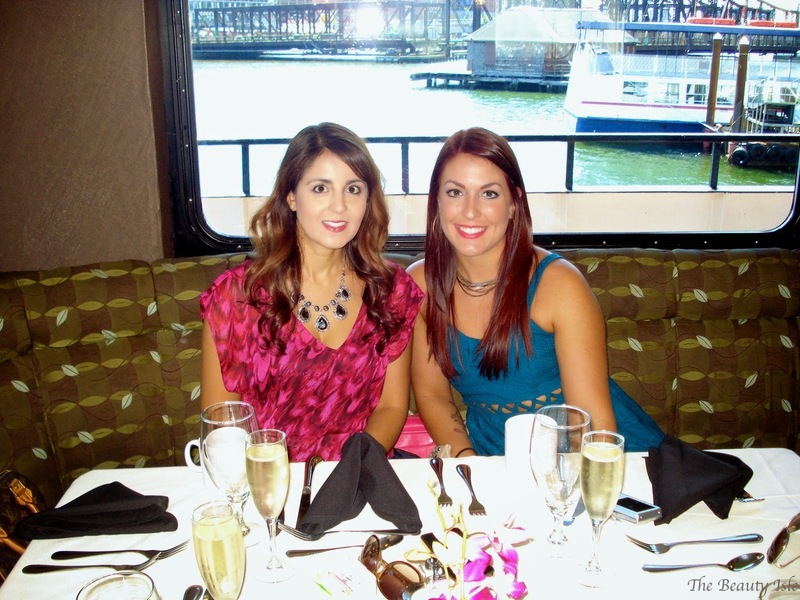 I had a lovely time aboard the Odyssey Brunch Cruise. 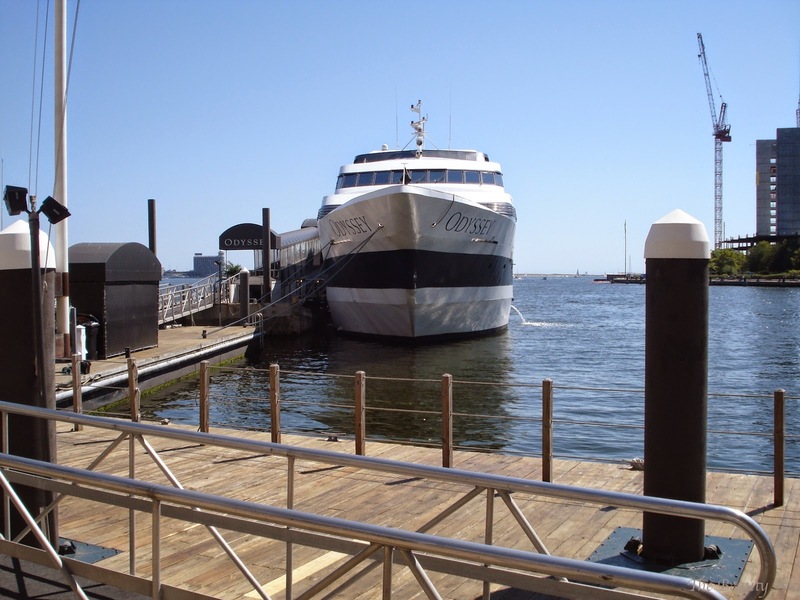 If you're looking for something different from the regular brunch in the city, try out this cruise! You get great food, nice music, and amazing views! I'd love the try the dinner cruise sometime! If you'd like more information on the cruise, you can click HERE. 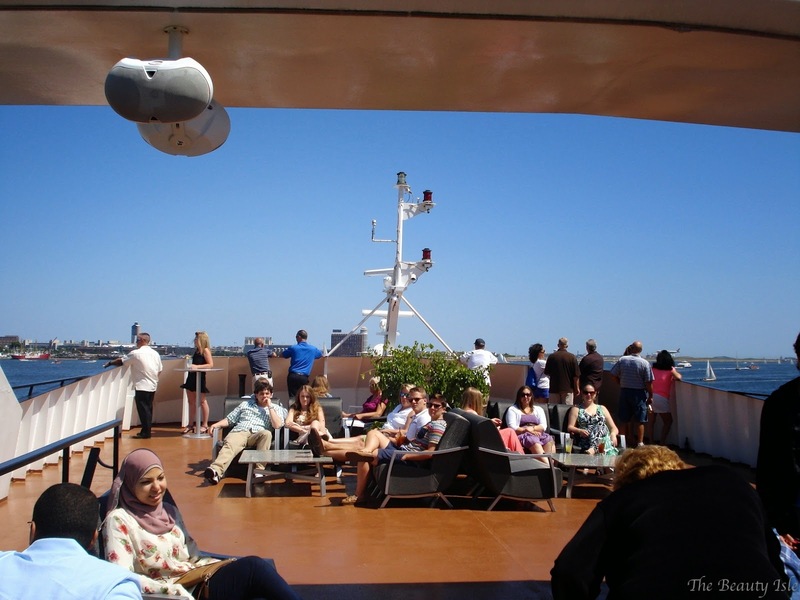 I'd like to thank Blog and Tweet Boston for inviting me on this cruise. All statements and opinions are 100% honest and my own.